Yet again, it has been proven that off-the-shelf security camera systems are not a great solution for your home or business security. This online PC World article exposes a new threat to anyone who has a DVR installed from many of the big name off the shelf security camera systems. It would seem that the manufacturer of many of these DVRs left in a not-so-hidden hard coded back door, which would allow anyone with the password to access your live video, even disable the cameras without ever setting foot inside your home or business. Big mistake. Then they hid this hard-coded password in a very difficult to find place: in the manual of the DVR, online. This is just the latest in obvious security flaws in security devices, found with recent IoT (Internet of Things) probes to see just how secure devices are. Unfortunately, with these types of systems, the response is "you are not at all secure" even though you purchased a camera system to help secure yourself. So what do you do if you have one of these devices? Well the best thing you can do is replace the outdated and insecure recorder with a new DVR. When you do this, spend some time and make sure that your new DVR is going to provide not only the security, but the features that you need (and maybe didn't even know they existed). Otherwise, wait for Lorex, QSee or other manufacturers to release a security update, and install it quickly, while praying that they didn't leave in another backdoor. Our Standalone DVRs are not affected by this backdoor, and offer similar features and remote access to your cameras, but we HIGHLY recommend considering our AVM DVRs when replacing older DVRs, as they offer a great deal of additional features, easier playback, and most importantly, more security. 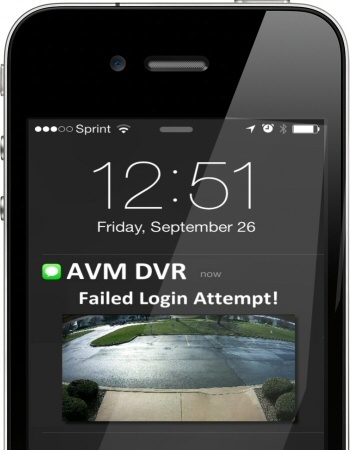 With our AVM series DVRs, the system can send you an email or text alert if someone tries to access your cameras, even if they fail. So you know if someone is even trying to access your cameras, you know about it right away. 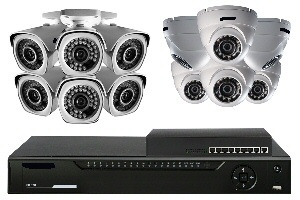 See more about the AVM security camera systems.